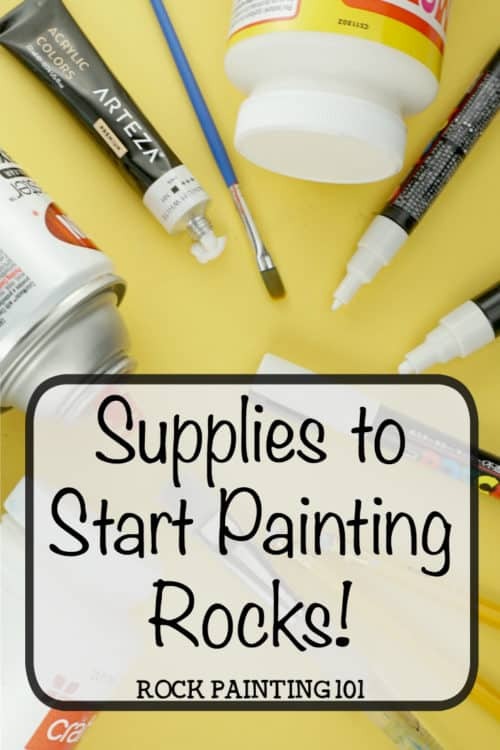 Get the rock painting supplies you need to get started! From which paints we recommend to the best sealers, you’ll find exactly what you need as a beginner. There are so many things you will see online when you begin painting rocks. The supply list can seem overwhelming, but don’t worry we are here to help you out! 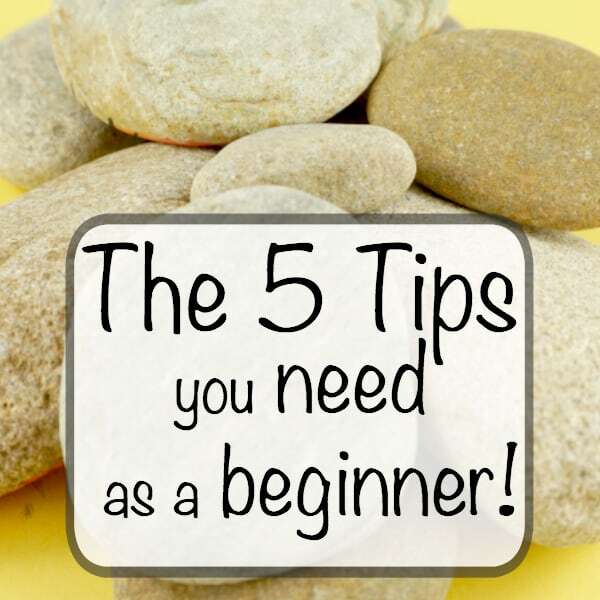 You won’t need much to get started, and there is always more you can get as you continue this fun hobby! 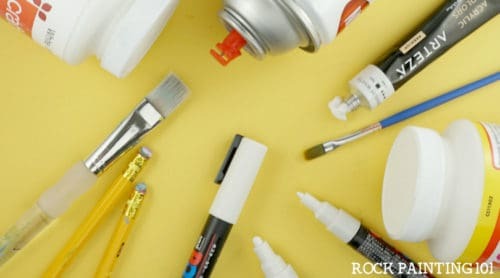 Here are the rock painting supplies that we recommend! The first thing you need is of course rocks! You can see where I buy my rocks here. You can also order them online or find them when walking down the street! 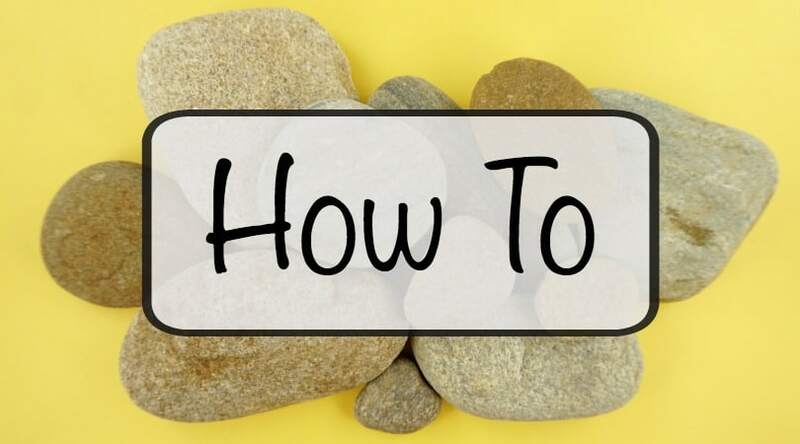 Once you have your rocks, make sure that they are ready to paint with these tips for prepping rocks. Personally, I think Posca Paint Pens are great for beginners. It’s actually one of my favorite rock painting supplies because of how easy they are to work with and how forgiving they are. There are lots of different packs to choose from and if you go this route you can move right onto a sealer. If you just want to get all the amazing pens in one purchase, grab this multipack! It has loads of colors and all the sizes that I use. They also come in fun styles like glitter and pastel. For easy paint pen shopping, check out our Amazon shop! You might find you want to create outlines or small details on your rocks. This kind of precision can be a lot easier with a fine tip pen. For this, I recommend Micron PN pens. You can grab a pack with lots of different sizes to cover all your needs. They are perfect for Zentangle, Zendangle, and Mandala style rocks. Get a pack of Micron PN pens here! 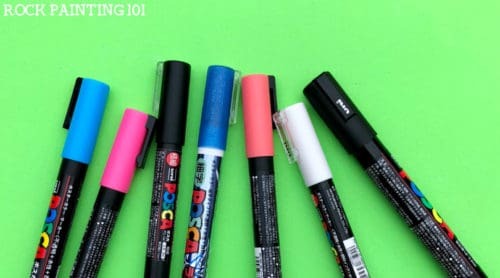 R101 Tip: Do Not press hard with these Micron pens or the tips will wear down over time. 3. What kind of paint do you use for stone painting? 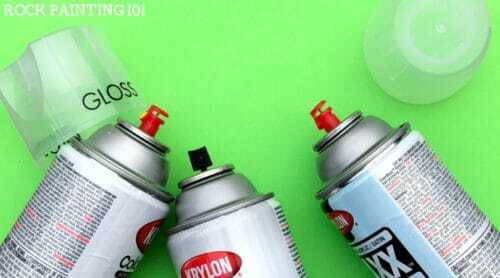 If you prefer to paint your rock with paint and a brush, you’ll want to grab some acrylic paints. Prices can range all over, but you will want to spend a little to get good coverage on your rocks. The difference in price will make a big difference in the number of coats you will have to use. For painting on rocks, I choose between two brands. For a more inexpensive and thinner paint, which works well when painting a picture onto a rock, I use Apple Barrel. You will need to get yourself a set of brushes. Nothing fancy is necessary when your just getting started. Look for a set that has a larger square edge tip to color big spaces, at least one medium size, and a few smaller tips. 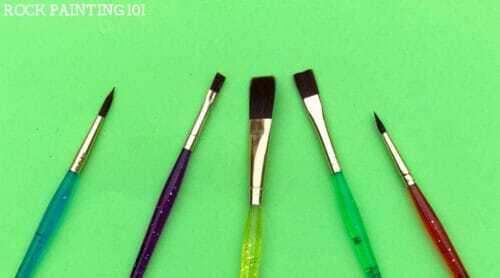 Over your first few batches of rocks, you will learn which brushes are your favorites, you may even begin to alter them… but we will touch on that later. 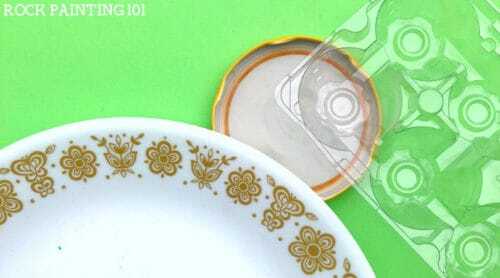 As far as pallets go, you can start saving butter tub lids, use an old plate that’s near and dear to your heart, or buy some plastic pallets. Grab brushes and pallets in our Amazon shop! This is the rock painting supply that people ask about the most. 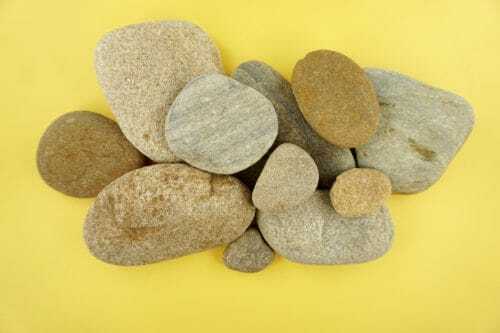 If you plan to hide your rocks in the elements, or even begin to sell them in the future, you are going to want to seal your rocks. There are a few brush-on sealers, but I personally prefer a spray on. Check out my favorite brands and types of sealers for painted rocks. Either way, make sure it says weather resistant and non-yellowing. You will also need to decide on your finish. Matte, gloss, or satin. If you’re looking for some fun rock painting inspiration. Check out these amazing 10 books that will get your creative juices flowing! 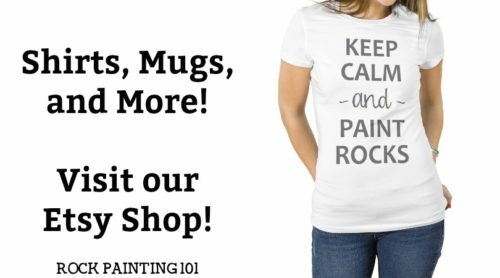 See all of our favorite rock painting supplies in our shop! 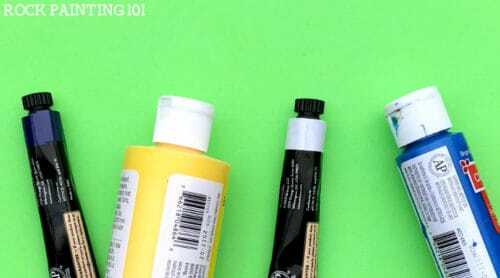 Pin these supplies for rock painting to your favorite Pinterest board! 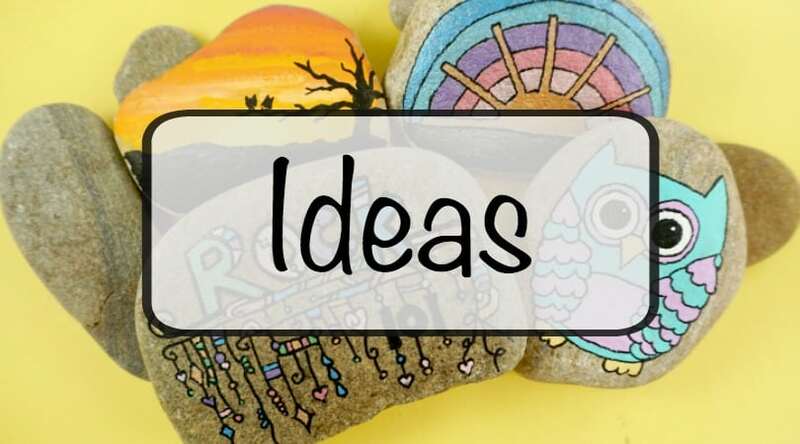 Get some rock painting inspiration! Grab more rock painting tips and tricks!